When renting an executive meeting room, one thing that you need to keep in mind is its ability to provide everything you need so you can organize your meeting smoothly. Meeting room essentials ensure that the meeting, no matter how long, will go as planned. Although a lot of companies offer executive meeting rooms you can rent, not all of them provides you with the best value for money. An executive meeting room is ideal for corporate meetings or events. Whether you are looking into holding a meeting for hours or even weeks, an executive meeting room should offer you convenience. Internet connectivity is one of the essentials that a provider could not afford to miss. Meeting rooms are not created from the same pattern. Hence, some meeting rooms don’t provide a friendly ambiance. For corporate events, it’s vital to provide a good venue for your attendees. It should have a welcoming atmosphere so you will leave a positive impression on clients. A meeting room that goes well with the elements of your meeting is the best way to go. It’s also practical if you consider meeting rooms with relaxation lounges or on-site catering. This way, attendees will have time to relax in between breaks. If you intend to make a presentation during your meeting, you need a venue that provides the equipment and technology you need. The size of the meeting room with appropriate lighting options should not also be set aside. There’s no point in holding a meeting in an executive meeting room if you don’t have access to the facilities you need. 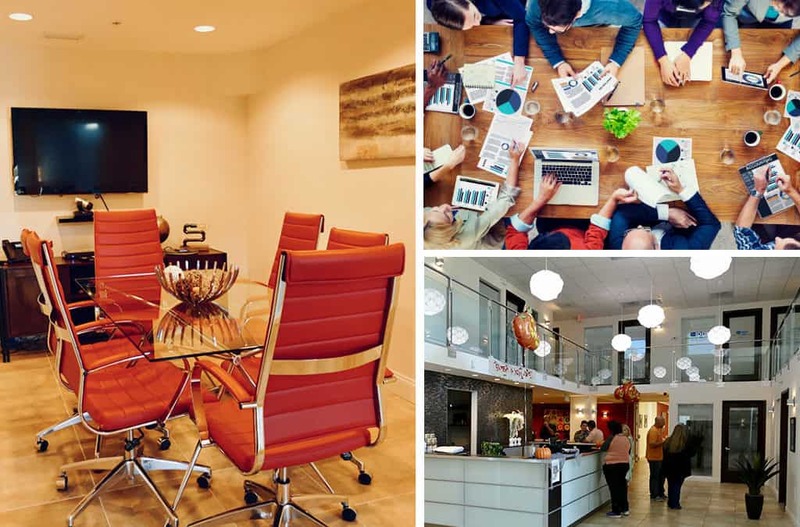 A meeting room should provide you with certain amenities and services. Some of the essential facilities to consider to make your meeting stress-free are telephones, video conferencing capabilities, printers, reliable wireless Internet connection and much more. When booking a meeting room rental, be sure to mention your needs to the provider. On-site support is also an important factor because if anything goes wrong with the equipment or if you don’t have access to the Internet, the IT staff will restore your connectivity. Organizing a meeting will take a large chunk of your precious time. Fixing the Internet yourself will make the event more stressful. The first impression an executive meeting room would usually get is that quality comes at a price. When holding a meeting, you should not blow your money on the rental cost. You can find an executive meeting room without the hefty price tag. When shopping for an executive meeting room rental provider, compare rates and the facilities offered. Never focus on the price alone. A great deal means paying good services and facilities at a reasonable price. The reasonable cost is not always tantamount to the most affordable rates. Any provider can claim that they have the best executive meeting rooms, but only some of them are true to their claims. Check reviews to find out more about the reputation of a rental provider. Since you will be holding a meeting, you need a provider that has an unquestionable track record. When you’re meeting a potential investor or client, you need to ask yourself how they will feel about the meeting venue.